Tollymore is one of only three course providers in the United Kingdom approved by the National Governing Body to offer the full range of training and assessment courses. The centre runs a wide range of qualifications from Paddlesport Leader, Paddlesport Coach and discipline specific leadership qualifications through to advanced Coach Training and Assessment courses, in a wide range of disciplines. 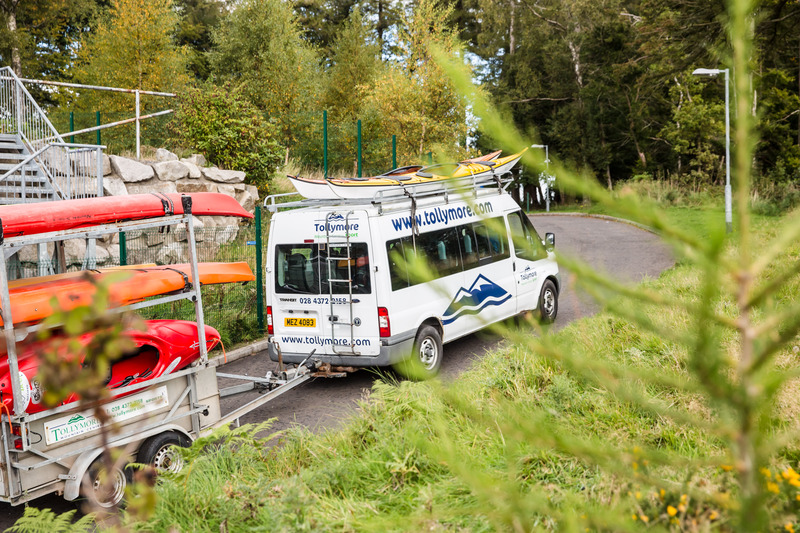 For those of you who are more interested in personal proficiency courses we also offer the full range across recreational canoe sport, sea kayaking, white water, open canoeing and surf. To access the personal skills courses, please click on the relevant Sea Kayaking Skills, Open Canoeing Skills, Touring Skills or Whitewater and Inland Kayaking Skills webpage. At Tollymore we recognise the important role of training courses in preparing coaches and leaders for assessment and the necessity of ensuring that our staff are up to date with current best practice and assessment standards. To support staff we have run training days facilitated by sport and employment physiologists on goal setting feedback strategies and the psychology of the assessment processes. We recognise that assessments can be stressful and we make a big effort to ensure that the assessment process is as positive an experience for candidates as possible. Our ethos is that an assessment should be a learning experience as much as a bench marking exercise against a standard. Staff will aim to share their experiences as fellow paddlers, experienced assessors and active coaches. To ensure that your tuition is of the highest quality we draw upon a large pool of casual staff, including the majority of active Level 5 Coaches in the Canoe Association for Northern Ireland. Many of the awards have been developed and updated in the past year and there are now clear pathways for paddlers wishing to instruct, coach or lead others. The personal proficiency awards have also been developed. The British Canoeing Awarding website – click HERE – is a great resource for current information. Tollymore staff work actively with the governing body to develop the national course syllabi and help shape the course content and delivery. Ultimately our aim is to provide paddlers with the skills to enjoy long term participation in their sport and that the leaders and coaches we train and assess are ambassadors that will go onto enthuse, motivate and train the next generation of canoeists. If our course dates don’t suit please contact the Centre as we can run additional courses to suit.